Drugs, Society, and Criminal Justice is a highly readable introduction to the major facts and issues concerning criminal justice and drug-taking behavior in America today. Building on sociological theory, it explores the social problems associated with drug use and the theoretical reasons for drug use and abuse. It then delves into the complex relationship between drug-taking behavior and crime. 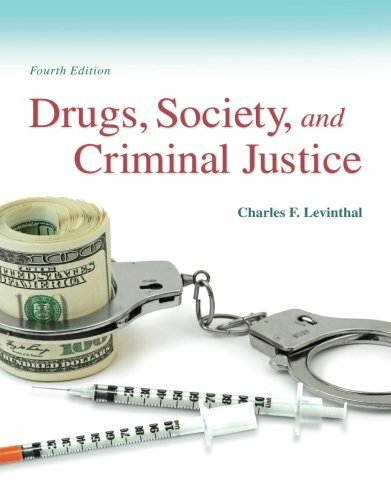 Distinctive chapters include: Understanding the Drug Problem in America (Chapter 1), Understanding the Drug Problem in Global Perspective (Chapter 2), The History of Drug Use and Drug-Control Policy (Chapter 3), Drugs and Crime (Chapter 6), Drugs and Law Enforcement (Chapter 7), and Drugs, Courts, and Correctional Systems (Chapter 8). Discussion-starting features spotlight prominent figures, drug trafficking realities, and life-saving information as the book explores how drug use and abuse impact the criminal justice system.